Pages: 578 including index, works cited, and a list of medieval materials used in the book. Ireland’s Immortals tells the story of one of the world’s great mythologies. The first account of the gods of Irish myth to take in the whole sweep of Irish literature in both the nation’s languages, the book describes how Ireland’s pagan divinities were transformed into literary characters in the medieval Christian era–and how they were recast again during the Celtic Revival of the late nineteenth and early twentieth centuries. A lively narrative of supernatural beings and their fascinating and sometimes bizarre stories, Mark Williams’s comprehensive history traces how these gods–known as the Tuatha De Danann–have shifted shape across the centuries, from Iron Age cult to medieval saga to today’s young-adult fiction. We meet the heroic Lug; the Morrigan, crow goddess of battle; the fire goddess Brigit, who moonlights as a Christian saint; the mist-cloaked sea god Manannan mac Lir; and the ageless fairies who inspired J.R.R. Tolkien’s immortal elves. Medieval clerics speculated that the Irish divinities might be devils, angels, or enchanters. W. B. Yeats invoked them to reimagine the national condition, while his friend George Russell beheld them in visions and understood them to be local versions of Hindu deities. The book also tells how the Scots repackaged Ireland’s divine beings as the gods of the Gael on both sides of the sea–and how Irish mythology continues to influence popular culture far beyond Ireland. An unmatched chronicle of the Irish gods, Ireland’s Immortals illuminates why these mythical beings have loomed so large in the world’s imagination for so long. I have to say up front that if you are expecting a retelling of the myths or a book that gives you a fact sheet about the Gods then don’t buy this book. However, if you are looking for a book that will make you think, will give you an analysis of the myths and the Gods, will make you angry at times but smiling at others then this is the book for you. But have an open mind because this book will challenge the idea that the myths were lore that was disguised as Christian and then written down by monks. The author seems to be saying that actually the Christian monks may have made a lot of it up or changed the lore so much that it was no longer what it was…at least this is what I got out of reading the book. There is a lot of information to digest from this text. Intended audience, comparative mythology, divination or lack thereof…so many things to even try and list. It is a text that will put you into the mind of the people writing these myths and what might have been running around in their minds while writing. You will also get a glimpse of the later poets/bards who also contributed to this literature. I won’t lie and say that this book was easy to read, not because the concepts were hard but because it was challenging a lot of ideas I had in my head. This is the sort of book that you need to read more than once to really appreciate and maybe read it in chunks. I also recommend that you know a little about the Irish myths and their history before you read it. I think this is a “must have book” in any Celticist’s library especially if they are interested in myths. And whether you agree with his analysis or not it is still a valid point of view that you need to read and understand. 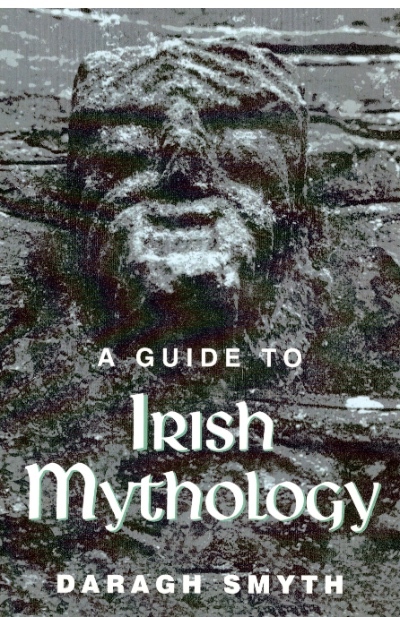 Synopsis: This guide, structured alphabetically with a helpful cross-reference system, allows the reader to delve into the ornate world of Irish mythology and its four cycles of tales: the Mythological Cycle, the Ulster Cycle, the Fenian or Ossianic Cycle, and the Historical Cycle or Cycle of Kings. The characters associated with each of these cycles are vividly brought to life — heroes such as Cuchulainn, Oisin, Cormac Mac Airt, Conchobar Mac Nessa, Finn and the Fianna. Review: I really wanted to like this book, but in the end I could not get past a few things. The author starts the book with a Preface in which he quotes Robert Graves…that was strike one. In the Introduction he talks about “scholars” saying this or that and my reaction was always WHICH scholars. Then there is all the incorrect information or out of date information in many of the entires. The truth is I knew this book was old so I was expecting some out of date information but what I found was even worse than I thought. And finally, SOLAR DEITIES EVERYWHERE! Here is what I did like about it, the author wanted this book to be a cross-reference system for the person reading the Irish myths, in that he has succeeded. I can look up a name and get their story, honestly though; there are many books out there which do a better job and are more up-to-date than this one. I’m filing this one under lessons learned…moving on. Synopsis: [From book back cover] In discussing the various kinds of source material for early Irish history, the problems each kind raises and the sort of questions it will answer, the author discusses the major historical issues. Review: Early Christian Ireland analyzes the main sources of Irish history between c. 400 and c. 1170 CE, a time period during which a lot of the vernacular records of Ireland were written. The book discusses important issues like the effect of the Vikings and Christianity on Ireland. Kathleen Hughes died in 1977 so this text should be read with that in mind. The book consists of nine chapters: Archaeology, the Secular Laws, Ecclesiastical Legislation, the Annals, Secular Literature, Ecclesiastical Learning, Hagiography, Art and Architecture, and finally eleventh and twelfth century Histories and Compilations. Looking at the above-mentioned chapters it is obvious that the linguistic aspect is missing, an omission the author acknowledges in her own Preface. Her reason is that this is an introduction for people who have little to no Irish, and she advises the reader to take a university course on the subject. The book delivers on its promise of giving an introduction to the sources—all of them. There are sources in there that I have honestly never seen discussed elsewhere, and this book unites them all in one place. There is a great chunk of information in this book that, given when it was written, needs to be updated. For example, the author’s chapter on archaeology is behind the times as there are many new finds that have happened since the book was written. However, even that doesn’t detract from its worth. The author, in the publication, dissects the sources and gives the reader all the information needed to evaluate said sources. She tells the reader exactly what these sources are good for, what they are not good for, and the kind of questions they would answer. As an example, in Chapter Five secular laws are discussed. 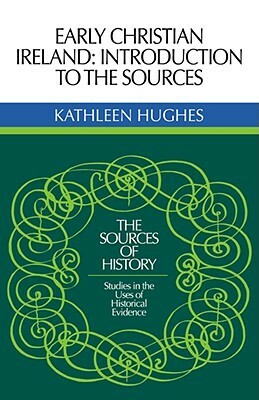 Hughes takes great care in telling the reader that these texts are essential for the historian to understand how a society claims to function, and how important they are to the understanding of early Irish history, but they are not the whole picture or the real picture. For that complete picture, the historian must go to other supplemental sources. The only real problem I see with the book is that it was a little dry. I couldn’t read more than one chapter at a time, and perhaps that is a good thing so that the reader can digest the information and cross-reference and update it. All in all, it is a good resource to have at one’s disposal.